Our Foundation joied CASCAP for the 82nd ‘National Agenda’ CCA screening in Rattanaburi, Surin Province. Foundation President, Prof. Puangrat PhD. gave a lecture on the results of 3 years of research that was conducted in Rattanaburi district. 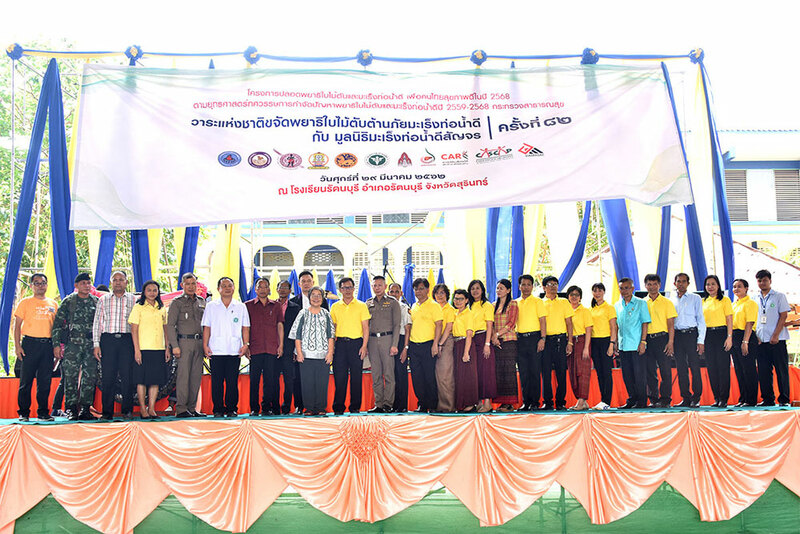 The research studies were conducted as part of the Fluke Free Thailand project which has 11 sub-projects including food safety, education, and social science which were the 3 areas of focus for the Rattanaburi studies. It was the first time that the progress and results of the studies were made available to teams, community, and other relevant parties involved. Along with our foundation information booth, we had a donation box and we are grateful for the generosity of all those who made donations to the foundation, your support is so important to the work we do.